Revision Skincare Hydrating Serum Review 2018: Ingredients, Side Effects, Detailed Review And More. What is Revision Hydrating Serum? This product provides a sheer, lightweight and oil-free moisturizing effect that works instantly and that lasts. This moisturizer helps relieve your skin of dryness, dehydration and tightness without making it oily. This product helps rehydrate your skin on different levels and helps cancel out some visible signs of skin aging. Revision Hydrating Serum – Does it Really Work? This product works by delivering moisture-boosting ingredients to multiple levels of your skin. While moisture and hydration are improved, peptides work to deliver longer-lasting improvements that improves your skin’s youthful appearance. Sodium Hyaluronate: This helps make up for the significantly lower amounts of hyaluronic acid in your skin. Hylauronic Acid drawn in more moisture to rest on your skin which, as a result, makes your skin appear fuller and dewier. Watermelon, Apple and Lentil Fruit Extracts: These ingredients helps improve product penetration while simultaneously hydrating your skin at multiple levels. 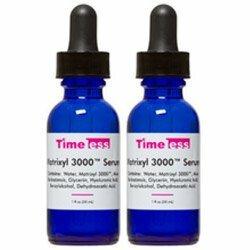 Palmitoyl Tripeptide-5: Made up of amino acids, it helps your skin rebuild, heal, and renew at much faster rates. 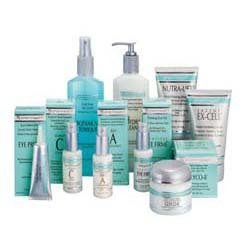 In effect, your skin becomes rejuvenated and revitalized with regular product application. Vitamin E: It helps soothe your skin with moisture inside and out. It also acts as a powerful antioxidant that protects your skin from dryness and further signs of skin aging. Pomegranate Extract: This ingredients helps improve microcirculation, improves skin synthesis, and makes your skin more resistant to damage caused by free radicals and environmental stressors by delivering a significant boost of antioxidants. Honey: A powerful humectant, honey draws in more moisture while promoting hydration that stays on your skin for hours. This product is made with an oil-free formula which makes it perfectly suitable for oilier skin types. 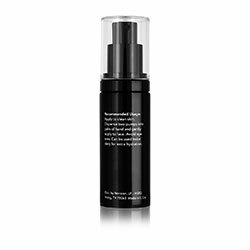 This serum has a sheer and ultra lightweight consistency that feels light on skin. This product may be used alone or under your go-to moisturizer. This serum goes well under your makeup and will not cause your makeup to slip off of your face. Drier skin types may not benefit so much from the level of moisture these skin types need to cancel out chronic skin dryness and dehydration. 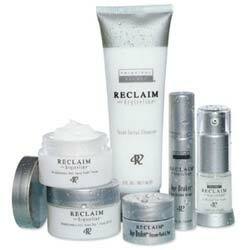 This product is not specifically designed to deliver any anti-aging benefits. This product is relatively more expensive than most other face serums, most especially those from your favorite drugstore brands. The manufacturer does not provide proof of efficacy. Does Revision Hydrating Serum Have Any Side-Effects? The manufacturer does not disclose any potential side effects. However, several ingredients have been linked to skin and general health impacts that you need to review more closely, that includes butylene glycol and diazolidinyl urea. This product may be guaranteed by the manufacturer to work well with all skin types. However, you have to look more closely into what your skin needs are and what you want to achieve with your skincare strategy. Even if this product suits your skin’s requirements, it will do you well to look for other products that perform the same key functions as this does and see how this product fares with the rest. What is the Price of Revision Hydrating Serum? This product costs $82.50 for a 1 oz. bottle. Where to buy Revision Hydrating Serum? This product is available via the official product website and via major online reseller sites. Does the Revision Hydrating Serum come with money back guarantee? No, dissatisfaction with product performance is not an acceptable reason for returning the product. Is Revision Hydrating Serum approved by the FDA? No, skincare creams like this product are not required to submit to FDA review and approval and may be sold in the market right away. Who Should Use Revision Hydrating Serum? Adults of all ages and all skin types may use this product. Should I use the Revision Hydrating Serum once or twice daily? You may use once or twice daily but, to obtain the best results, use the product once in the morning and once again before bedtime. How long does one bottle of Revision Hydrating Serum last? One bottle should last you for a month. How long will results last? Results are retained only when you keep this product in your regimen. Can I use the Revision Hydrating Serum with makeup? Yes, this product is so lightweight and sheer that it is an ideal product to hydrate before putting on makeup.